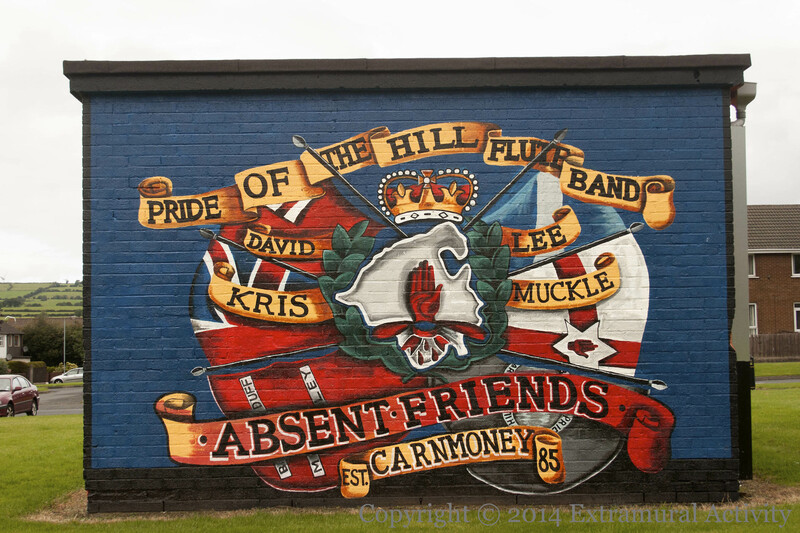 David Lee was a founder, in 1985, of Pride Of The Hill Flute Band in Carnmoney/Ballyduff. Kris Muckle – now deceased – was a long-time member. 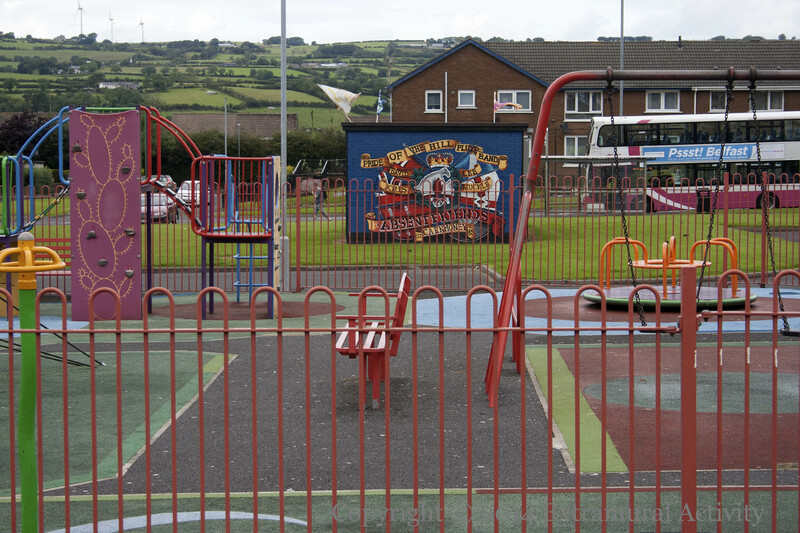 (Band Parades) Both are commemorated in this mural. If you know what territory is outlined beneath the red hand in the centre, please comment/e-mail.